Can Bhaagamathie Be Another Hit For Them? UV Creations is currently one of the leading production houses in Tollywood with remarkable success rate. Although they gave chance to first timers and flop directors, they haven’t delivered a flop till date. While their first production venture Mirchi with Prabhas was a blockbuster, Run Raja Run that starred Sharwanand was also a commercial hit. Gopichand’s Jil was an average grosser. Then they scored hat trick hits with Bhale Bhale Magadivoy, Express Raja and Mahanubhavudu. The production house recently released Suriya’s Gang in Telugu and the Vignesh Sivan directed movie is running successfully. If we observe all the films produced by UV Creations, we can notice one thing that they don’t compromise on budget and production values even though a film is made with a medium range hero or with a debutante or flop director. They always provide best technicians for directors of their films. The next attraction from UV Creations is Bhaagamathie starring Anushka Shetty in lead role. Interestingly, this is first heroine centric and also maiden horror film for the production house. Director Ashok is given best technicians such as R Madhie handled cinematography, S Thaman scored music, Kotagiri Venkateswara Rao worked as editor and Ravinder handled art department. The visuals in teaser as well as trailer appeared lavish. Anushka who enjoyed doing the film is promoting enthusiastically. The film also has some ensemble cast such as Jayaram, Unni Mukundan, Asha Sarath, Prabhas Sreenu, Dhanraj, Murali Sharma, Thalaivasal Vijay etc. Like previous films from UV Creations, Bhaagamathie is also going to be another top class film, inform the production team. So, don’t miss to watch the film to release grandly worldwide on January 26th. 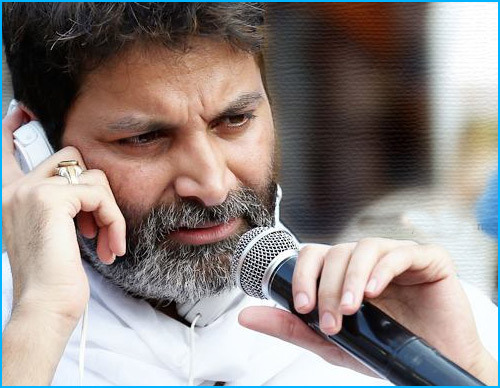 Trivikram Employing New Team, What's Up?